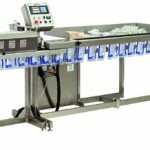 Comcount Counting or Weighing machines can be combined with a range of different bagging machines to produce a fully automatic packaging system suitable for handling a wide range of industrial, technical and medical components. The industry standard Autobag range of machines utilise a pre-formed bag on a reel system and are suitable for a wide range of applications, particularly where a market quality pack presentation is required. 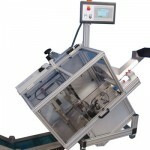 For heavier duty or more industrial applications an alternative form fill and seal machine can be utilised to produce packs up to 10kg in weight. 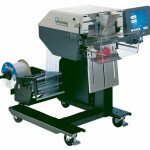 The AB Range of bagging machines utilises the Autobag pre made bag on a reel system. The machines give a market quality pack presentation making them suitable for a wide range of applications. 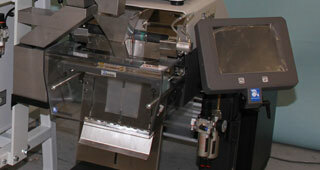 The One Step machine is a variation of the AB Bagger fitted with an integrated Overprinter. 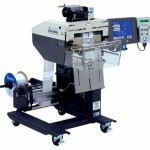 The machines print and index in one step making this ideal for short production runs. The sprint bagger is a special purpose machine, which utilises Autobag side pouch bags that are available in a range of different formats including re-closable zippers and reinforced headers. The ABG Packmat F28 is a heavy duty form fill and seal Bagmaker which produces low cost bags from flat polyurethane film making it ideal for industrial applications or heavier bags.